Power bank rental startup Xiaodian (小电科技 in Chinese) officially announced their performance on September 11th. Xiaodian now covers 70 cities in China. Xiaodian’s data also shows that the daily order increased 195% in August (in Chinese), and the daily average usage number of a power bank is more than once. Xiaodian’s daily use times exceeded 240,000 in August, with its peak day use times exceeding 310,000. From the April this year until today, the cumulative number of users exceeded 10 million people. “Looking at the current performance of the industry as a whole, Xiaodian is in the absolute leading position, the highest return on investment in the industry. In terms of capital utilization efficiency and fine operation, Xiaodian’s performance is in line with their investment expectations,” Xiaodian’s angel investor, GSR Ventures Managing Director Zhu Xiaohu said. Xiaodian partnered with WeChat Pay and mini program to launch pilot testing power bank rental service which a fee of 1 fen (USD 0.014) from users since June 20th. According to 2017 Q2 WeChat mini program index statistics (in Chinese), Xiaodian’s mini program ranked 15th, showing the highest traffic in the power bank rental industry. Among the rental economy startups, Xiaodian ranked second, after Mobike. Xiaodian is now working with Foxconn and BYD, the Chinese manufacturer of automobiles and rechargeable batteries, to swiftly expand its presence into more Chinese cities. 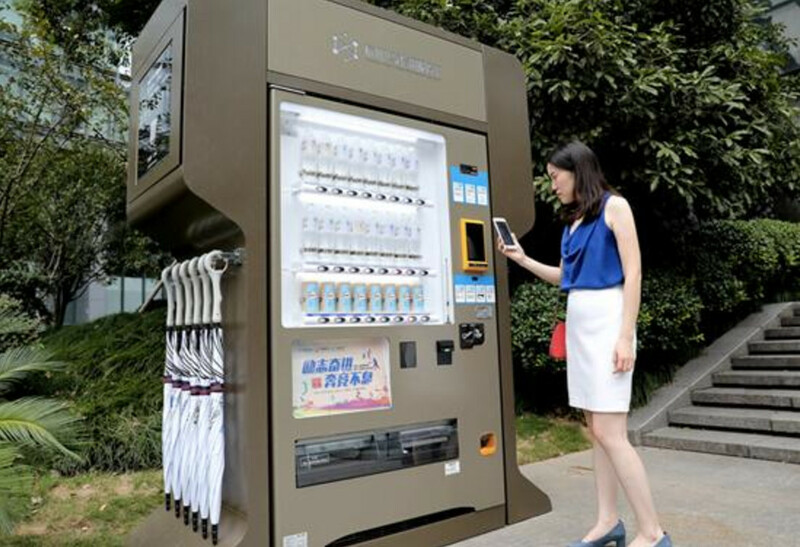 Xiaodian is also looking for ways to serve users in instant need for phone charging. Not long ago, Xiaodian collaborated with Hangzhou City Management Committee and Alibaba’s Sesame Credit to pilot a public power bank station in Hangzhou (in Chinese). If a user’s Sesame Credit points more than 600 points, then users don’t have to pay a deposit and can directly rent a power bank from the kiosk. Founded in December 2016, Xiaodian raised RMB 100 million series A led by Tencent and Hangzhou Vision Capital in this April.